"Create a lifetime customer by providing excellent products and customer service. Live by the motto of transparency, and make the process of doing business Simple, Fast and Fun." 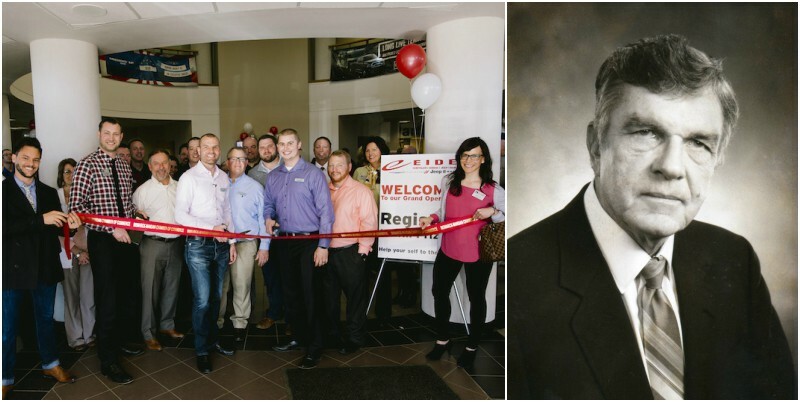 The Eide Organization has been a part of the Bismarck/Mandan community since 1981, when Eide Ford Lincoln was founded by Allen Eide. In 2016, Eide Chrysler Dodge Jeep Ram was added as well. Our dealerships take great pride in being among the top dealerships in the market in sales volume and customer satisfaction. Eide Ford Lincoln is the Number 1 New Car Dealer in Bismarck/Mandan and has won Ford Motor Company’s prestigious President’s Award in 2015 and 2016. Among Eide Chrysler’s most important core values is personal development and promoting from within. The companies take training, education and development very seriously. All new associates go through a comprehensive orientation and training program upon hire. On-going training and development are also provided. As a result of this, Eide dealerships promote almost exclusively from within. This is very important as we believe our employees want to have opportunities for advancement and it is our job to provide those opportunities to deserving candidates.